Tarenna is a paleotropical genus of the coffee and gardenia family. Widespread in Asia, Indonesia and Oceania, it is also well represented in continental Africa while about ten species occur in Madagascar and the Mascarenes. Tarenna (ca. 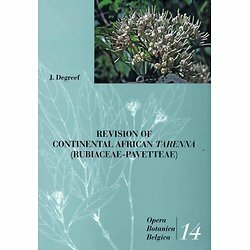 200 species) is one of the many, large Rubiaceae genera for which recent monographic work is completely lacking. 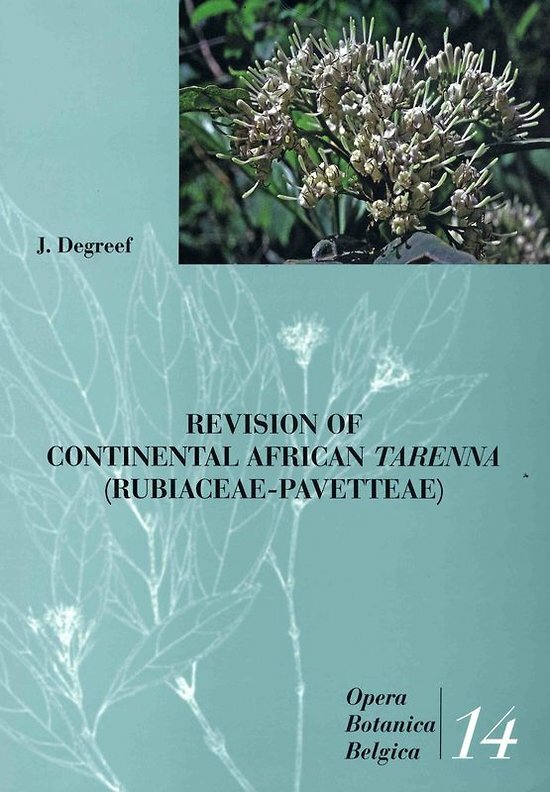 A total of 54 continental African taxa of Tarenna, nine of which are new, are revised in this book. Regional keys allow easy identification. A full taxonomic treatment and an extensive description are given for each taxon. Distribution maps, authenticated by a full citation of all specimens seen by the author, are also supplied. Most taxa are illustrated, often by original drawings. The author is holder of a PhD in plant conservation. He started studying the African representatives of Tarenna in 1999. He is at present Head of the Department Cryptograms at the National Botanic Garden of Belgium.